The present book is the most exploring book on the human anatomy from ayurvedic point of view while correlating the same with the modern knowledge acquired over the period of time. The book is one of the most delightful treats for an inquisitive mind wishing to understand the anatomy of the human body with the deep rooted knowledge as described of the human body with the deep rooted knowledge as described in Ayurvedic texts by great scholars of all times including sushurta Samhita Charak Samhita, Ashtang Hridya and others. This book is an earnest attempt to explore the knowledge to its deepest origin based on the principle of “believe in what you see” or in other words how Ayurvedic Scientists look into the body, what they conceived, Perceived and observed. The author has critically taken note of all the descriptions and after correlating the same with his own experienced acquired over five decades of his association with Ayurveda and has tried to present the most impartial and acceptable view regarding the mysteries of human body. 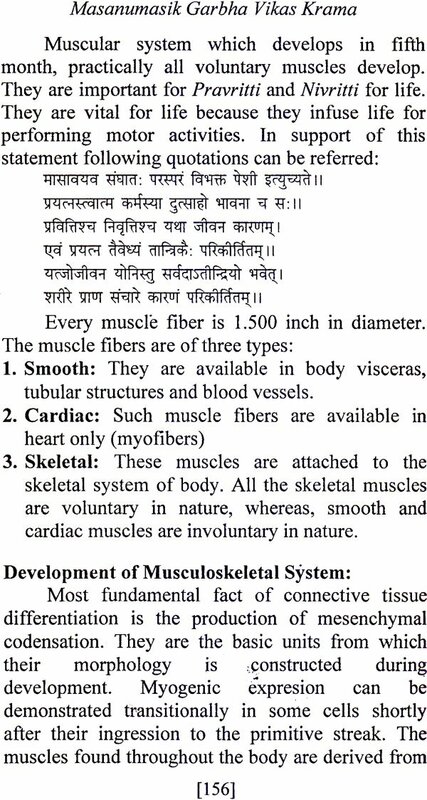 The whole book has been prepared on the basis of different disciplines of human anatomy such as Garbh Sharir, Sira, Sira Dhammi Sharir. Srotas Sharir, Asthi Shrir, Marma Sharir, Peshi Shrir, Indriya Sharir, Tantrika Sharir, etc. This chapterwise description is again important for graduate and postgraduate level scholars of Ayurveda. From the examination point of view the book covers the syllabus approved by the Central Council of Indian Medicine , Delhi and a number of other Universities and Colleges imparting the education in the faculty of Ayurveda. Attempt has been made to provide a systematic stream of knowledge which may be able to develop scientific intent in the minds of the readers. The author feels that with the changing global scenario and transformation of the world into ‘global village’, it becomes imperative to come up with an authorartive text on Ayurveda, which may be able to provide opportunity to those coming from non-Hindi speaking regions of India as well as from abroad. Understanding of human anatomy is the very basis for initiating as study into any healthcare system. Ayurveda is no exception. However there has been an earnest requirement for providing a good Ayurvedic text book on human Anatomy with pictorial presentation. The present book fills the void. 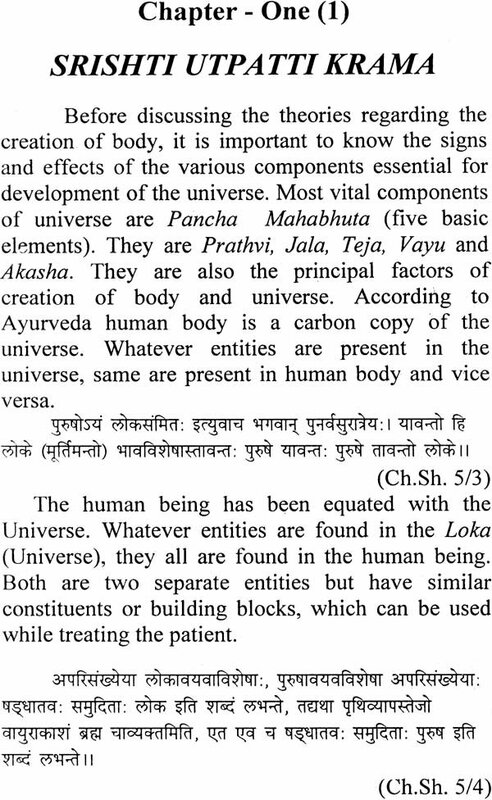 The creator of ‘Loka’ God Brahma created first of all ayurveda followed by other creations,’ and then passed on the knowledge to various Gods, which was then transferred to mortals. 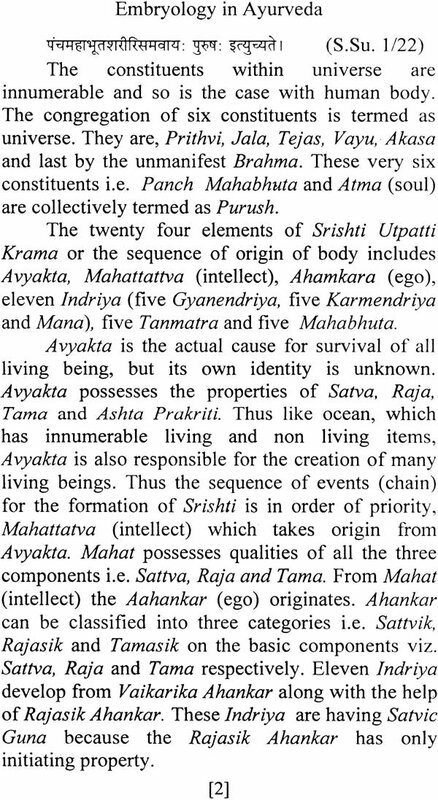 Thus ãyurveda descended from its celestial to terrestrial stage for benefit of humanity. Every sentient has intrinsic desire not only to live long healthy life but also to have good progoney possessing best qualities. The man ever since knew the method to communicate or dessiminate knowledge started transcripting it with the available tools for the benefit of next generation. First written record i.e. Vedas have described various aspects pertaining to health and diseae, including procreation most important for continuation of races. Healthy plant comes with healthy seed, soil, season water so is the human being. The health is cyclic i.e. healthy seed —> healthy embryo/foetus —> healthy child —>healthy adult —> healthy old age, in other words the knowledge of basics i.e. 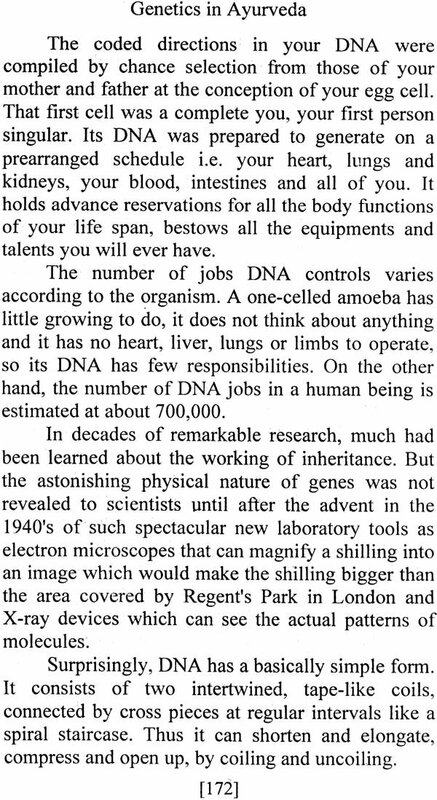 seed and embryo is imperative for healthy society. In vedic literature ãyurveda is maximum in magico religious form and references pertaining to seed and embryo etc. are scattered almost in entire texts. To provide nourishment to the foetus ausadhi (drugs), SinIvãli, Saraswat, Indra, Varuna and Mwinis etc. are worshipped’. Nourishment of the foetus through nãbhi nãdi (umbilical cord) considered as poaka, prãnadhraka and nourisher to sustain life is seen2. The ulva (vernix caseosa) offers protection to the foetus and jarãyu (chorion and amnion) gives a shining appearance or adorns it3. 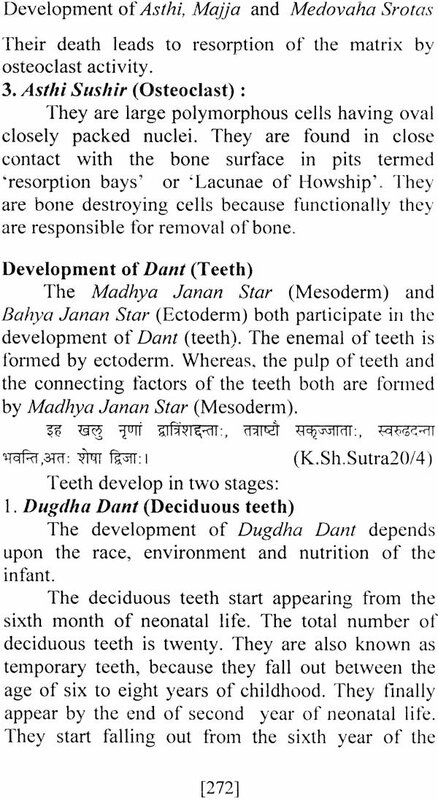 Though similar description about various aspects of embryo/foetus are referred in Vedas and Kalpa sütras etc. 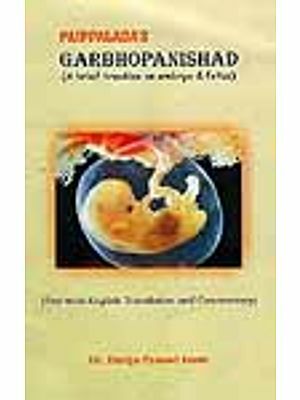 yet systemic or month wise growth and development of foetus is lacking but for Garbhopanisad. 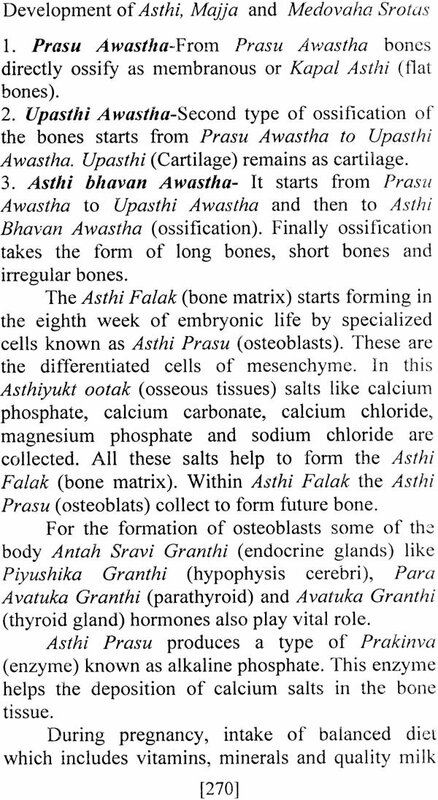 The statments, that fertilized egg becomes budbuda (blastocyst) in seven and pinda (collapsing stage of blastocyst) in fifteen days; and development of prhavatha in fifth month (spinal cord - the abnormalities like Spinabifidã etc. 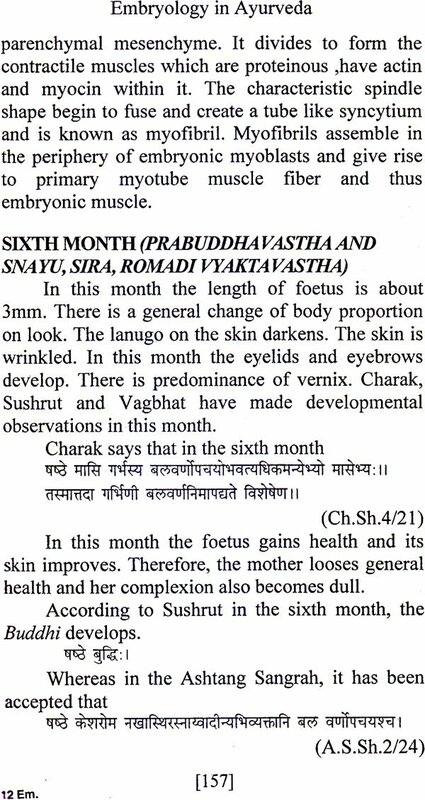 can not be diagnosed unequivocally before this period) are appreciable4 Ayurvedic classics present different subjects of Ayurveda in most systemetized way, them under eight specialized branches, wherein entire subject of obstetrics, gynaecology, and paediatrics is described under the heading of Kaumarabhrtya. Tremendous advances witnessed in twentieth century have changed the face of scientific world, medical field being no exception. Though ãyurvedic classics have described various subjects in great details, yet, their explanations in modern terminology are necessiated by inquisitive attitude of present day students more so foriegn students. Arena of subjects has widened creating new vistas of specialities. Embryology a part of obstetric/anatomy in past is now becomming speciality, which is having a drastic change due to recent under-standing of genetics. In tune with the demand of teachers and taught alike, Prof. D. G. Thatte a prolific writer, good administrator, conscientious academician, above all inquisitive devoted scholar wrote a book on Human embryology (Manava bhrüiia vijñana), probably the first book on the subject thirtyseven years back, which remained a landmark in the subject till today. 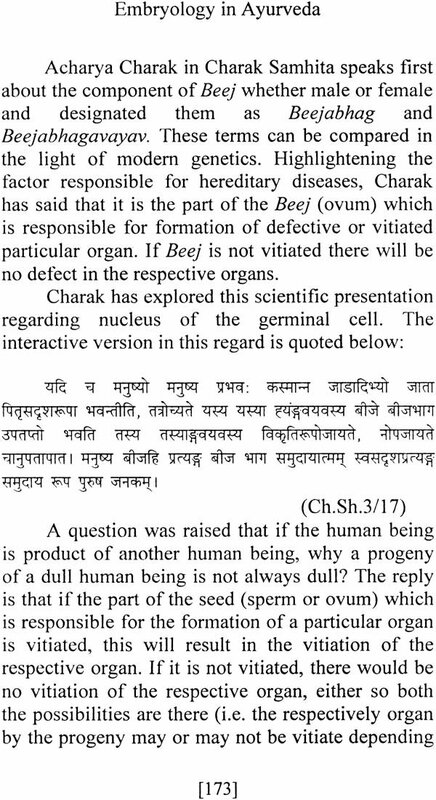 Though in ãyurvedic classics bija, bija-bhaga and bijabhagavayava terms denoting respectively ovum/sperm, chromosome and gene are described, yet need scientific understanding in light of present day’s advances. To accomplish this goal Prof. Thatte has written this new book entitled ‘Embryology in Ayurveda’, incorporating concepts mentioned in ayurvedic classics, recapitulating textual references vis-a-vis their explanation with latest know-ledge as-well-as illustrations. I am sure that modern embryologist and ãyurvedists both will be highly benefited with this book. Rather it would be a boon to them and a milestone in the field of embryology. I pray goddess Saraswati to bestow upon Prof. D. G. Thatte vision, wisdom, will-power, energy and health with good longevity to serve her for many more years to come. Prof. D.G.Thatte, Founder/Director of All India Sharir Research Institute has tremendous experience in the field of Ayurveda teaching, research and writing books. Prof. Thatte is one of the luminaries of Ayurveda. Born in a Maharashthan family with an academic intent, Prof. Thatte from the very beginning was interested in Ayurveda and1 Indian Medicine. Prof. Thatte opted for teaching carrier putting aside all the lucrative offers. During his illustrious carrier as a teacher and administrator Prof. Thatte has been honoured with over dozens of Awards and Fellowships including Dr. Birbal Sahani Scientific Award, State Award, Ayurveda Siromani Award, Ratna Sadsya- fellow of National AyurvedaAcademy, New Delhi, Life Time Achievement Award, National Integrated Association, Aligarah, Ayurveda Martand from Pune. Prof. Thatte has also been honoured by the title of “Icon in Ayurveda” by Prof. A.P.J: Kalam Ex. President of India, at Ayurvedic College, Khurja. Recently in March 2011, he was honoured by faculty of Ayurveda, Institute of Medical Sciences, Banaras Hindu University, Varanasi. Lifting the lamp till mid night, even after attaining the age of octogenarian, he is still working hard for developing All India Sharir Research Institute, Lucknow as Center of Exellence in Sharir. Need not say Prof. Thatte is “Monk of Ayurveda”. Dr.Bhuvesh Gupta is one of the versatile scholar of Sharir Rachana. He obtained his bachelor’s degree and post graduate degree in Ayurveda from Lucknow University, Lucknow in the year 2008. After obtaining M.D. degree in Sharir Rachana he was appointed as Lecturer in Sharir Rachana Department in Sri Sai Ayurvedic Medical College, Aligarah, (U.P.). His scholarly performance got him selected by Union Public Service Commission, New Dethi for the coveted post of Medical officer in Central Government Health Scheme (C.G.H.S. ), Ministry of Health and Family Welfare, Govt. of India. Presently he is working as Incharge Ayurvedic unit Lucknow in C.G.H.S.He has presented many valuable research papers in Sharir in different scientific seminars and workshops organised by Ayurvedic Institutions of the country, which have been published in national journals of Ayurveda. His academic taste is still alive which keeps him inspired kwcreative contributions in Ayurveda. Dr. Gupta’s continued aociation with Prof. Thatte is the outcome of the present aribution i.e. 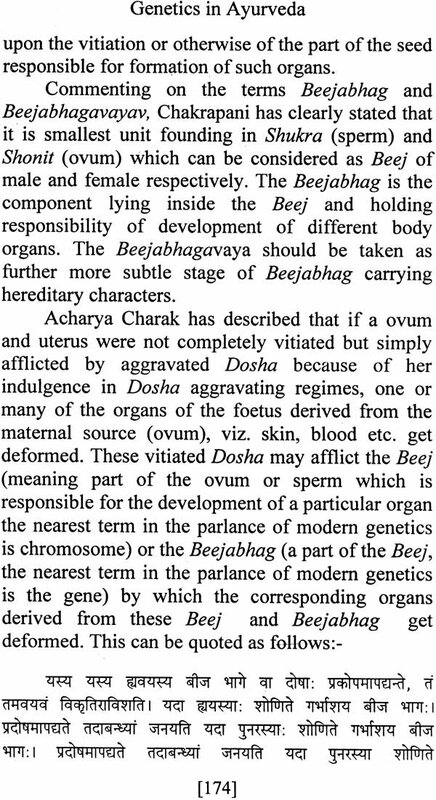 Embryology in Ayurveda. Many more contributions are awaited from him. Authors of this book ‘Embryology in Ayurveda’ have great sense of satisfaction in finallydocumenting ‘the script. Long back in 1975 Prof. Thätte chooscd. to write a second book of his carrier titled ‘Manav Bhruna Vigyan’. He was inspired for this job by Late Prof. Raghuveer Prasad Trivedi of Hathrasa. The proposal was supported by Late Dr. Mukundi Lal Dwivedi, Ex. Director of Ayurveda U.P. and Vice Chancelor, Gujrat Ayurveda University, Jamnagar. 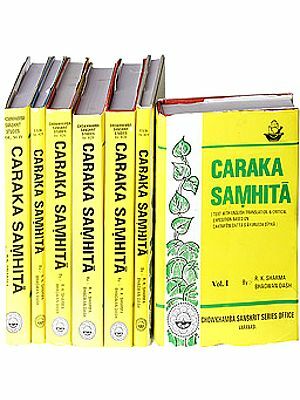 The book was written in Hindi language and was published by Ayurveda & Tibbi Academy, Govt. of U.P. After gaining more than fifty years of experience in teaching the subject of embryology to Ayurvedic scholars, Prof. Thatte felt that there are many gaps in the presentation of embryology while teaching Bhruna Vigyan in present scenario of developed medical science. Prof. Thatte picked up one of his most talented and devoted disciple Dr. Bhuvesh Gupta (M.D. Ay. ), presently *orking as Medical Officer, Incharge Ayurvedic Unit, C, GH.S. Lucknow. Though Dr. Bhuvesh Gupta r sat as a class room disciple of Prof. Thatte, but actually got lessons of Sharir at higher level from iflf. Suresh Chandra presently working as incipal, Govt. Ayurveda College, Bareily who himself is a disciple of Prof. Thatte. Therefore Prof. Thatte feels obliged to Prof. Suresh Chandra for inspiring Dr. Gupta’s to associate with Prof. Thatte in the development of All India Sharir Research Institute, Lucknow. Dr. Bhuvesh Gupta’s association with Prof. Thatte proved beneficial for advancing and keeping pace with latest and current researches in the subject of embryology. It is only wish of the God Balaji Tirupati which made scientific zygote of Prof. Thatte and Dr. Gupta which prepared this most valuable gift to the Ayurvedic world. Both the authors while writing this acknowledgement feels oblidged to their mentors and parents for their moral support. 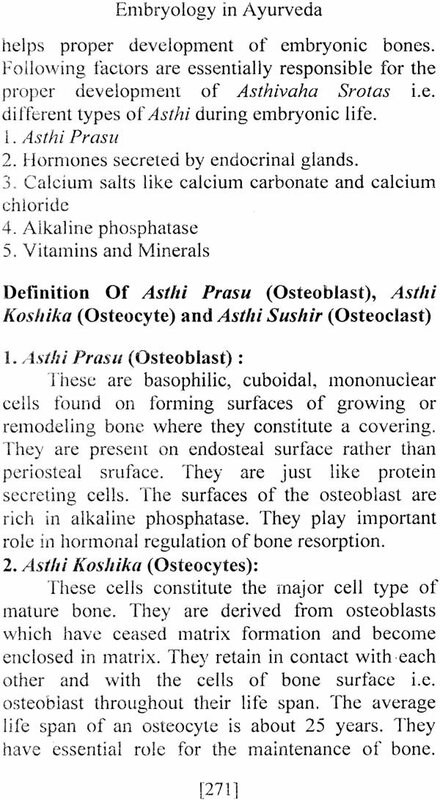 Both the Authors are also grateful to their life partners Dr. (Mrs.) Vimleshwari and Dr.(Mrs.) Anshuma Gupta (M.S. Shalya) for their continued moral support while documenting this book. Authors also wish to acknowledge pains and sincerity of M/s Anurag Photostat for giving this book a model shape. It is expected that Ayurvedie research and educational Institutes will make good use of this book for rehabilitating the authencity of Ayurvedic versions concerning embryology. 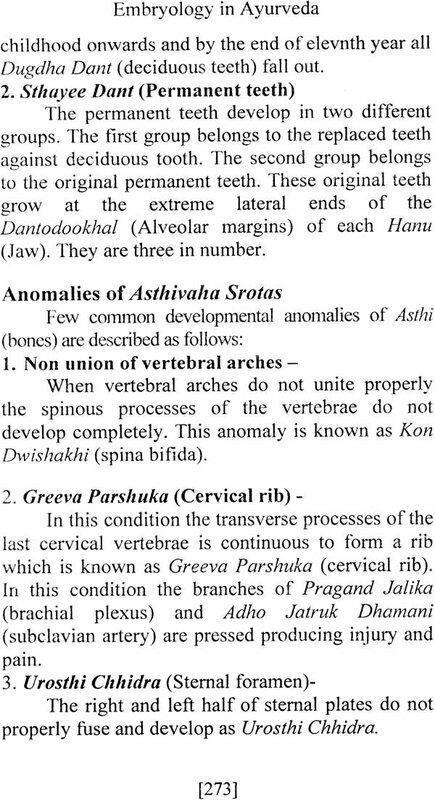 13.7 Janm Jat Nabhi Bahisaran (Omphalocele) 239-240.